A vindication for the Palestinian-led Boycott, Divestment and Sanctions movement (BDS), and particularly the Ireland-Palestine Solidarity Campaign (IPSC) as the Press Ombudsman rules that a hatchet job piece by the Irish Independent‘s Ian O’Doherty was “factually inaccurate” in relation to two slurs on the movement. The complaint was made to the Ombudsman’s office by journalism lecturer Harry Browne, who is also a founder member of Academics for Palestine, a group of scholars that advocates an academic boycott of Israeli institutions. In a column on 24th June, Mr. O’Doherty described the BDS movement as being “loud and shrill in their calls for a complete boycott of individual Israelis, regardless of their own political affiliation” and advocating “blanket boycotts of anything involving Jews.” There were falsehoods, and the Ombudsman stated that “the article was factually inaccurate in relation to the two statements”. BDS campaigns for a widespread boycott of Israeli institutions and organisations. It does not campaign for a boycott of all Israeli citizens. Neither does BDS campaign for a boycott of “anything involving Jews”. Its campaign, though widespread in its targets, is limited to a boycott of Israeli State institutions as well as economic, cultural, sporting and academic organisations. It does not extend, as the author claimed, to “anything involving Jews”. Nor is this the only time this particular pundit has used his position of privilege in a national newspaper to undermine the struggle for Palestinian rights and freedoms, and applaud the actions of apartheid Israel. He has also denied that collective punishment – which of course is illegal under international law – is Israeli policy when it comes to Palestinians, especially those in Gaza, gone so far as to praise Israel for “acting with a ridiculous degree of restraint” during Operation Cast Lead. During this assault on Gaza, Israeli occupation forces killed over 1,400 Palestinians, around 900 of them civilians including over 300 children in 23 days, and left vast carnage – including the destruction of over 4,000 homes, civilian infrastructure and other damage, in total amounting to around $2 billion’s worth of damage – behind them. 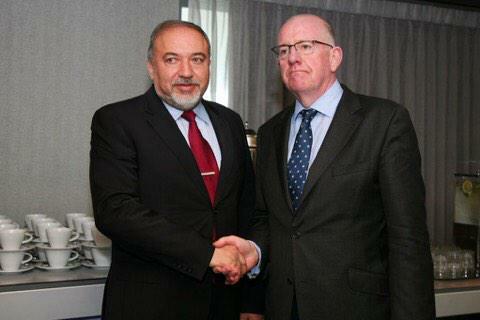 Kevin Squires in the second of a three part series on the coverage of the Irish foreign affairs minister to Gaza. 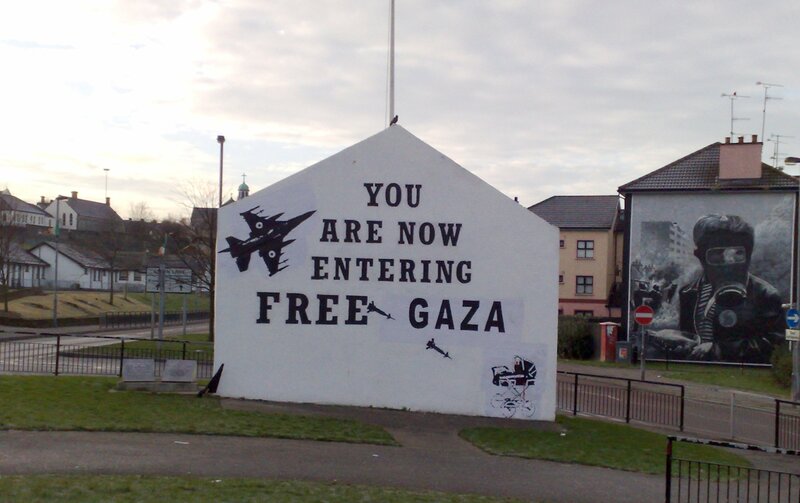 Kevin Squires is a Palestine solidarity and political activist based in Ireland. A frequent contributor to various Irish leftist publications, he blogs about music, comedy, comics and politics at Citizen Partridge. Following on from yesterday’s withering look at Irish media coverage (or lack thereof) of Irish Foreign Affairs Minister Charlie Flanagan’s visit to Gaza as part of a wider tour of the Middle East, I am compelled to once again put finger to keyboard to take investigate at two aspects of this visit. Firstly, the ongoing coverage in the Irish Times and, secondly (in a later post), dissecting what the Minister has said during the trip. 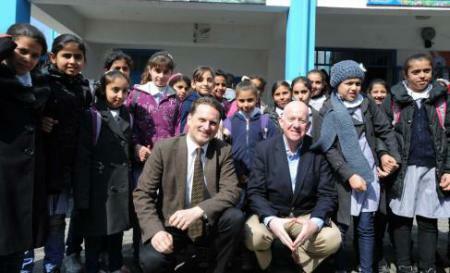 Kevin Squires in the first of a three part series on the coverage of the Irish foreign affairs minister to Gaza. Kevin Squires is a Palestine solidarity and political activist based in Ireland. A frequent contributor to various Irish leftist publications, he blogs about music, comedy, comics and politics at Citizen Partridge. 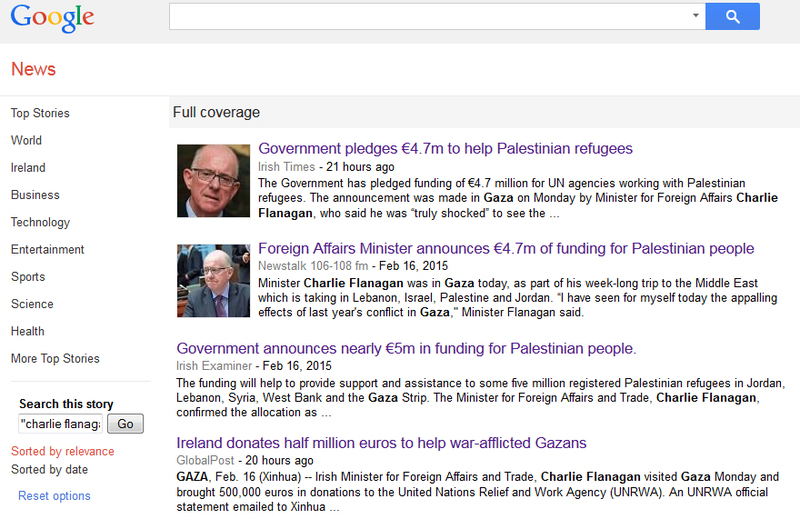 Of the three Irish media outlets that deemed it newsworthy to mention the Irish Minister for Foreign Affairs, Charlie Flanagan’s, visit to Gaza yesterday, none of them deemed it necessary to go beyond reporting what was in the government press release on the matter. Commemorations, 1916 and the Press: Plus ça change, plus c’est la même chose.